The EU is building up a team of heavily-guarded men to help Libya stop unwanted migrants and to collect intelligence. 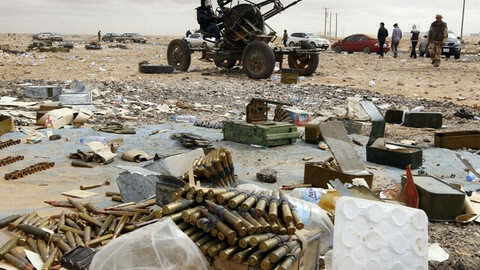 The operation, Eubam Libya, currently boils down to 40-or-so EU countries' experts and EU officials. Led by a Finnish customs chief, they began to arrive in April and they are living and working at the Corinthia Hotel in Tripoli - the same spot where gunmen briefly kidnapped the Libyan PM last week. They plan to open a normal HQ by 1 December. They aim to have 80 EU staff by March and 111 when fully up and running. They will also have 54 local helpers and 54 bodyguards. Their job, the EU foreign service says, is not to do patrols or searches, but to help the Libyan government draft a "border management strategy" and to "improve the legal and institutional framework of border management." 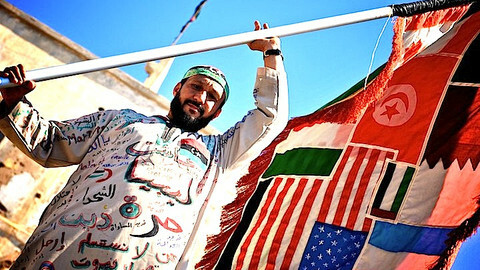 They will also teach "technical skills" to Libyan customs officers by "training and mentoring." The €30-million-a-year operation is not philanthropic, however. 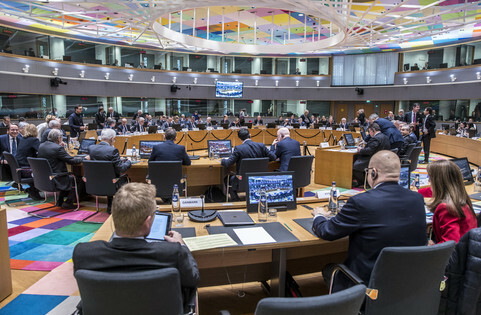 With Libya an important transit point for African migrants to Europe, the EU foreign service told EUobserver that Eubam "should, in due course, strengthen the Libyan authorities' ability to manage border crimes, including trafficking of people and illegal migration." 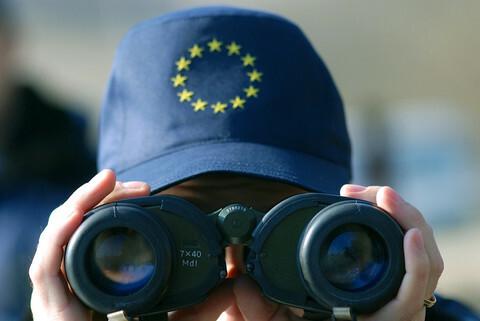 It added that the EU border control agency, Frontex, is also planning "concrete … activities" in Libya under Eubam's flag. 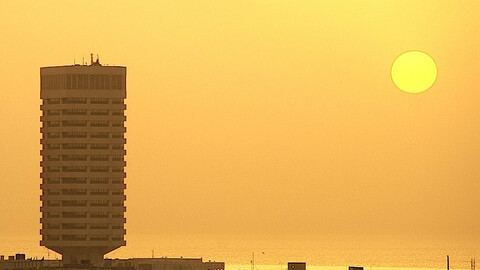 Meanwhile, the new HQ in Tripoli will become an EU intelligence asset. People at the Corinthia Hotel are currently guarded by Argus, a small French firm, which also looks after the EU embassy in Libya. But the foreign service is hiring either Aegis, a large British private security company, or GardaWorld, a big Canadian firm, to protect Eubam for €6.2 million a year from 1 November. According to an EU tender document, Aegis or GardaWorld will set up "a 24/7 operations and control room" to give "high quality security situation analysis" and to file "security reports daily, weekly, monthly and six monthly" to EU structures. Unusually, the private guards' top cadre must be pre-cleared by national intelligence services to handle files classified "EU SECRET." The tender document gives an insight into Eubam's day-to-day work. It says its "primary focus" is in Tripoli, where it will "host VIPs as well as other guests." But it will also open "field offices" and has permission to go anywhere in the vast, desert nation. It will have a fleet of 18 bullet-proof jeeps equipped with satellite phones and 18 "soft-skinned" 4x4 cars. The tender paper also indicates to what extent the EU staff are risking their lives. It says: "The current trend of serious criminal incidents (armed robberies, kidnappings, etc.) and increased inter-factional clashes will continue and the indications are that they will become more pronounced during the lifespan of the mission." It adds: "The armed clashes [might] escalate to such a degree as to make Eubam-L unable to function." 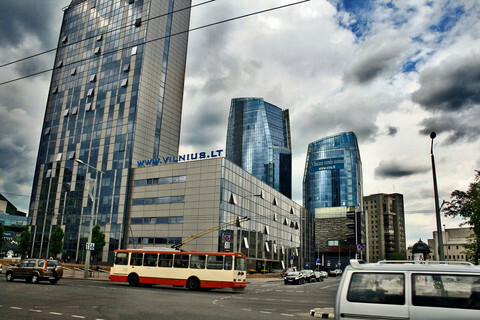 Eubam is to buy an ambulance and several of its bodyguards are required to have paramedical qualifications. The guards will wear bullet-proof vests and helmets. They will also carry 9mm pistols and long-barrelled rifles or automatic rifles. If EU staff go outside Tripoli, they "will require a minimum of two vehicles and CPT [close protection teams] and in some cases an advanced team and chase team." If they go to the southern border, Peter Bouckaert, a Libya specialist at the US-based NGO, Human Rights Watch (HRW), says they will be entering "a no-go area, even for Libyan security forces … it's a closed military zone where you have extremists, such as al-Qaeda in the Islamic Maghreb, and criminal smuggling networks, who have looted stock from Libya's arsenals and who have big financial interests." For his part, Richard Dalton, a British ambassador to Libya in 1999 to 2002 under the late Colonel Gaddafi, described Eubam as "a very brave venture." He told EUobserver it should help Libya develop surveillance and interception capabilities and that it should work closely with the post-Gaddafi elite. He advised Eubam to convene a committee of top officials from Libya's justice and interior ministries, the judiciary, the Oil Facilities Protection Force and from its "emerging" intelligence service and to give them "ownership" of the project. "If the EU simply trains a group of customs officers but they don't integrate them and their know-how into Libyan institutions, they will fail," he noted. Dalton said Gaddafi had mixed results in managing migration. He did it by making Libyan people into informants in a culture of fear: When a truck carrying migrants stopped to refuel on the 1,000-km journey from the south to the Mediterranean, the petrol station chief would call the police. He also did it by making deals with Chad, Niger and Sudan and by paying off what Dalton called the "big men" on either side of Libya's southern border who run the smuggling trade. "If you want to control borders, you need a deep security policy and a deep foreign policy," Dalton said. Migration aside, Nick Witney, the former head of the EU's security think tank, the European Defence Agency in Brussels, said Eubam can promote broader EU interests in the oil-rich country. "It's a way of making contacts and building influence. Ultimately, it's what the CSDP [the Union's common security and defence policy] ought to be about. In two or three years' time, if Libya stabilises and a strong central government emerges, you want to be among those who were helpful from the start," he noted. Given last week's mass-drownings of African migrants on EU coastlines, HRW's Bouckaert urged the EU not to lose sight of its humanitarian responsibility, however. 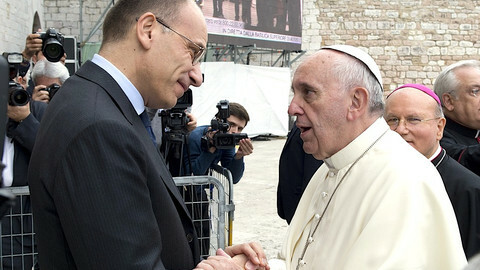 "We have to remember that we are dealing with human beings who are fleeing poverty and conflict and we have to make sure that we put in place processes which stop further loss of life," he said. "We must try to stop the huge level of abuse against these people instead of just trying to keep them out," he added. In terms of building influence in Libya, the EU foreign service is treading on eggshells. Last year, it annoyed Tripoli by hiring a British security firm, G4S, to guard the EU embassy without asking the government for a permit. The Eubam tender says the "mission requires a favourable image" and that bodyguards must act with "courtesy." It notes that if worst comes to worst, the EU guards might have to shoot somebody: "If the threat of a harmful act is perceived as imminent or a harmful act is initiated, the first task is to cover/protect and evacuate the principal out of danger. If the threat cannot be avoided, the responsibility of the CPO [close protection officer] may be to neutralise the threat." 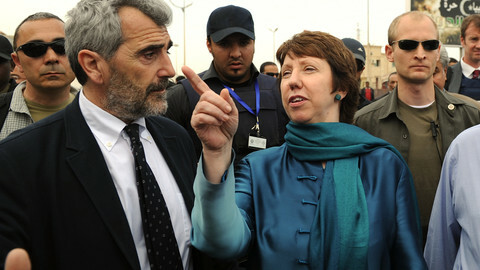 But it says use of force must be in line with Libyan law and with a UN convention on private security. It also says bodyguards must keep a low profile and avoid looking like EU-badge-wearing mercenaries. It stipulates "the service provider shall ensure that no EU or Eubam reference shall be included on the nameplates or the uniforms supplied by the service provider." Going into real nitty-gritty, it adds: "Sunglasses may be worn, provided however those eyeglasses that are faddish in style or in colour … shall not be worn. Mirrored or opaque sunglasses may not be worn." The EU's "civilian" mission in Libya is training paramilitary forces, amid wider efforts to stop Libya becoming a "failed state."